This efficient, raised ranch boasts one-level living, featuring Italian ceramic tile, tray & cath ceilings, numerous closets, & a NEST thermostat. Kitchen has custom, solid oak cabinets, Quartz counters w/ceramic tile backsplash, Undermount sink, Grohe faucet, Bosch DW, Samsung 4-Door Fridge, & hdwd floors (2016). New Water Heater in 2014 & HVAC in 2012. Lower level has a large workroom with heat & AC along with a roughed-in bath. 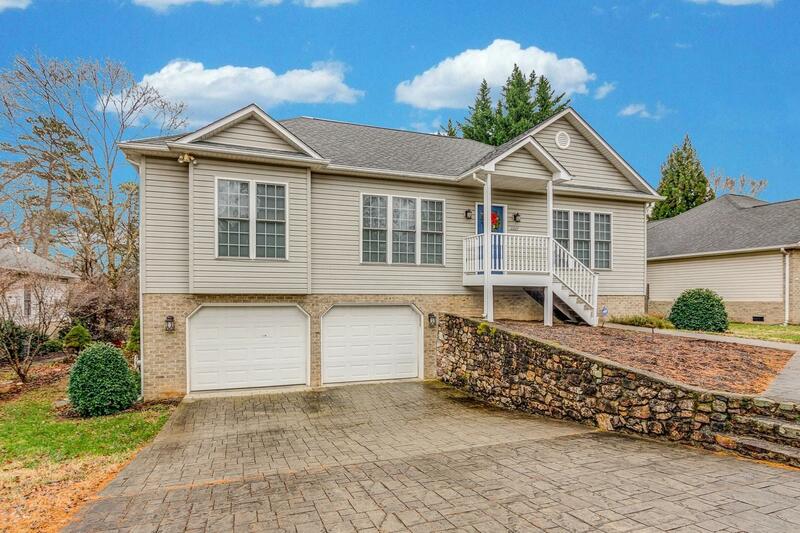 Parking features a stamped concrete driveway & an over-sized two-car garage with shelving. Enjoy the backyard from the deck off the dining room or the stamped concrete patio off the lower level. The Greenway & walking trails to the park are across the street.